Recently, we announced that we were in the process of looking for two new Community Researchers to join the GuildMag team, as well as another editor. We’re pleased to announce that we have received tonnes of applications and will be announcing the new editor soon. However, we’re still looking for Community Researchers and therefore applications are still open, which can be found here. I’m here to give you a better insight into this newest of roles, which is perfect for anyone looking to join the team without the harsh deadlines. Maybe the ‘no deadlines’ line wasn’t entirely true. As with almost any job, there will be deadlines where something has to be done or fall from the pipeline – and GuildMag is no different. Saying this, however, a Community Researcher’s job is a lot more relaxed than many of the other roles we have. As I’m sure you’re aware, the Community Roundup is published each week on a Monday. Creating this post each week takes a lot of work as each featured item is checked before being published – we don’t want to just relay random posts to you; we want to present the best there is. That’s where Community Researchers come in: their primary role is to help seek out the most active, interesting and friendly forum posts, look into exciting new developments on fansites, research into upcoming player-run events and generally stay on the lookout for community-related news. This will have to be done each week, though we feel one or two hours a week should do it. Don’t think that that’s all a Community Researcher does however; I can’t stress this hard enough, but this position isn’t just a ‘fetch and carry’ role – there’s so much more to it! For those who are interested in taking the role further, there is ample opportunity to. Not only do all staff members have opportunities to write for the magazine should they wish to, but willing Community Researchers also have the chance to write about recent events they’ve attended, which will be published to the website. To do this, a Researcher will have to liaise with the event organiser(s) and even become part of the planning process in some cases. 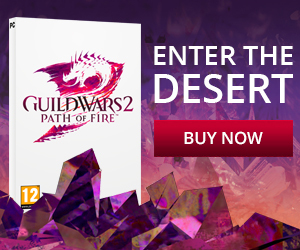 This gives members of this role the opportunity to work alongside some amazing Guild Wars players to help entertain the community, as well as meet and interview unique people that help to make it all possible – from the organisers themselves right down to the attendees. You have to be a real people person to succeed in this! On top of the above, a particular post you’re writing about will be entirely yours. This means you have to also collect screenshots for the event (which can be great fun when getting other players to join in), create any graphics required (or have them created by one of our fantastic designers) and decide in the direction you want the post to go – will it be humorous, serious or perhaps have a touch of sadness? This isn’t to say that for every occasional event you’ll have to be doing trivial work in between, however. The researching work alone requires you to make contacts within the Guild Wars community – the majority of whom are very friendly – and become part of daily community life. 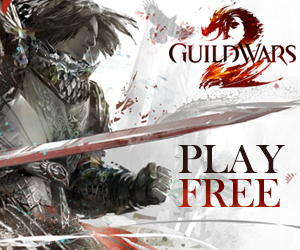 So, to sum up the role: if you’re looking for a position at GuildMag without the hard deadlines, whilst still having ample opportunities to write your own articles, attend some awesome events and become part of the Guild Wars community, all the while having a lot of fun along the way, then the Community Researcher position is for you! If this post has sufficiently persuaded you to apply, click here to view the full criteria and send your application. If you have any questions or comments about this role, or anything else community-related, feel free to contact me by emailing community@www.guildmag.com or tweeting me @Valiantgw.